Want to show your horse, but need a ride? Horse Jitney llc transports horses to horse shows in the Maryland, Northern Virginia, Delaware, and seastern Pennsylvania areas. We make it easy for horse owners to get to horse shows safely and on-time, without making a large investment into a truck and trailer. The only requirements for the show shuttle are a current coggins, a horse that loads, and a current health certificate if crossing state lines! The Shuttle runs on a tight schedule, with limited time for loading difficult horses. Please advise us of any loading issues you've had in the past so we can adjust our schedule and allocate horse stalls for success. The morning of the show is not the time to introduce your horse to the trailer, and hope he loads. When you're ready to reserve your ride, give us a call to secure your reservation. A $50 deposit will hold your spot, and don't worry, your deposit is refundable up until 72 hours before your scheduled pickup time. Round trip transport to horse shows is based on mileage, number of horses, and access to the trailer during the show. Trying to get an idea of price? It's fair to estimate $125 per horse for a one day show where the pickup barn and show are both within 20 miles of Highland, MD. For pickup locations further away, rates start at $175 for the first horse and $100 for each additional horse from the same pickup location, or pickup a friend ten miles of your barn. Overnight shows are a bit more expensive as it ties up more of our time, and increases travel distance as we ususally don't stay for the show unless we are showing our own horses. Schedule with us when you send your entry fees in for prescheduled shows such as dressage, combined tests, and events, or any hunter shows you are pre-entering. We operate on a first-come, first-serve basis. The horse show shuttle makes it easy for horse owners to show without the overhead of maintaining an entire rig. It's a cost effective way to get your horse to a horse show before you make the investment into your own truck and trailer! We can take up to five horses per trip with our 2008 Hawk head to head straight load trailer, and two in our Kingston gooseneck. Both trailers are extra large, safe and inviting, and comfortable for really big or very small horses. Your horses travel in comfort and style, and you'll be the envy at the local shows! We are USDOT and FMCSA licensed and carry $1,000,000 in liability insurance. Our USDOT number is 1721853 and our Motor Carrier number is 634408. Questions? Don't see a show you'd like to attend? Give us a call at 301-526-8273 or email us at info@horsejitney.com to catch a ride with us to your show! Book early for these recognized shows! If you're thinking about attending a show in your area, give us a call to see if we're available. We just might be bringing a client, or even our own horse to your chosen horse show, and can pick you up! We routinely attend recognized and unrecognized shows, so don't be shy in asking about your show. Don't see a show listed? Drop us an email or give us a call to request a venue. The show shuttle is an economical alternative to booking the entire trailer for the day. Best rates are available for three or more horses picked up at the same location. 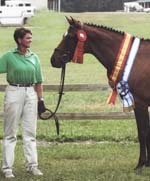 We specialize in young horses, and routinely attend east coast dressage sport horse breed shows with our own horses. Catch a ride with us! Attention barn owners and trainers! Need a hauler for your students? 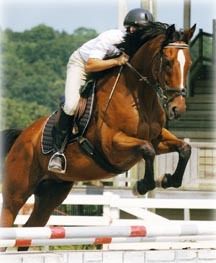 Contract with us to service your students for horse shows and clinics to get best rates. Work with us to get your students mobilized! 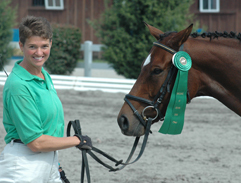 Horse Jitney llc offers show day services tailored to your needs. If you need an extra hand during the day, we can provide a qualified groom, horse-sitting services, or coaching for a reasonable fee. In addition, you can contract with us to photograph your entire show day, including candid shots of you interacting with your horse and family. It's a great way to capture the day. Click here to get more information about our shipping services.